If you start at the project/portfolio level, I see the Multi-Project Critical-Chain and especially its Strategy and Tactics tree as very similar to the Kanban System for driving improvement. Both approaches start with Limiting Work in Progress at the Projects level as key to reducing unhealthy multi-tasking and improving predictability and effectiveness. With time, excess capacity can be used to shape demand and create new exciting business models. 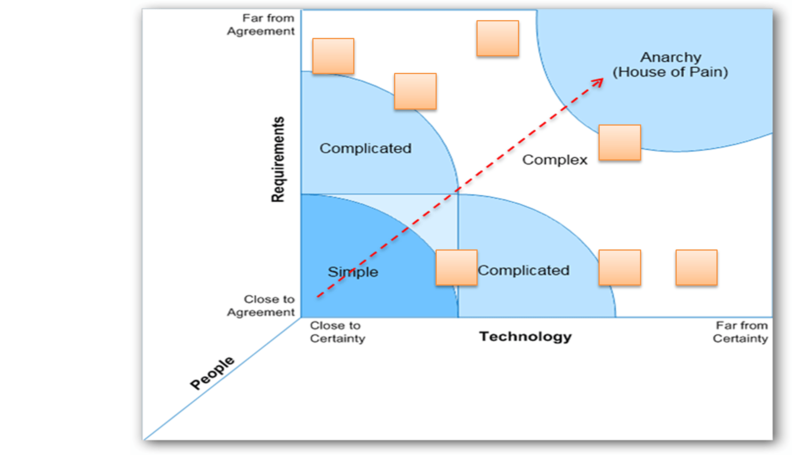 I think the CC world is more advanced in its view on this aspect, but the Kanban world is certainly going there. We would be wise to learn from Viable Vision and other great thinking in the TOC world. 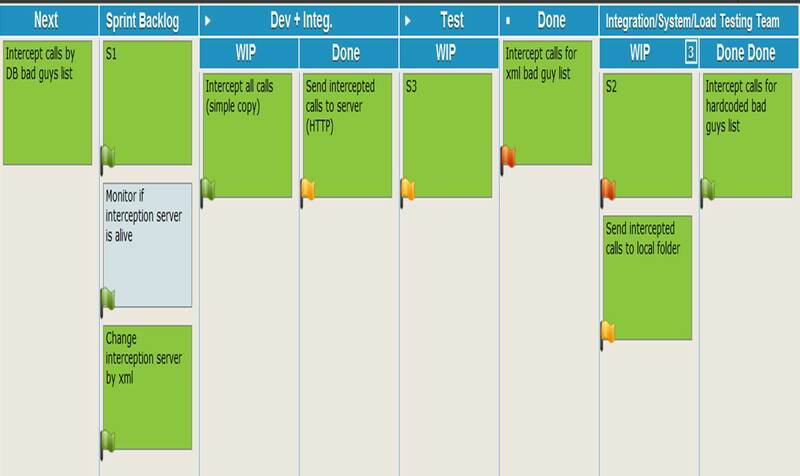 Once inside a project, kanban advocates a feature driven approach to development. The understanding that product development is a knowledge discovery process where units of inventory start as options and end up being working tested validated features is at the core of the Agile approach. The assumption is that we are operating in an uncertain environment. Both the requirements/problem as well as the technology/solution has considerable elements of uncertainty. We welcome this uncertainty as it comes together with the opportunity for great returns. We also recognize that Integration activities hide a lot of the risk in our projects, and so we drive for early and continuous integration to minimize that risk. The way to operate effectively in this environment is to have a continuous process of focusing on a few features, seeking feedback along the development process all the way to customer/field feedback, orienting ourselves based on it iterating thru the same or earlier stage of the process depending on the feedback, and at the end having a marketable/viable feature that doesn’t hid any more work behind it. Only then do we pull another option/feature and drive it thru the process. Kanban realizes that we have a certain capacity of features we can effectively process at any point in time. Overburdening this capacity will mean the knowledge discovery for each feature will take longer and the feedback will be handled later at a higher cost. I’m guessing this will resonate with any TOC practitioner. And indeed, the realization that features can be handled as inventory opens the door to applying a lot of the pure TOC thinking. This approach can be used for handling an ongoing product development context where there is always plenty of options that can provide business value, and we are a factory/studio choosing the best option to develop and deliver. When the context is a major project comprised of many different capabilities/features, this approach works as well. There might be a stronger need to manage the overall project health, but the basic principles still apply. There was an interesting discussion about this lately in the kanbandev user group. I also covered this in my recent talk about Commitments in a Kanban world. In this area, I believe CC provides us with good practices and tools – Release Burnup/CFD charts can evolve to Fever charts for each project, and an overall Fever chart managing the overall projects portfolio. 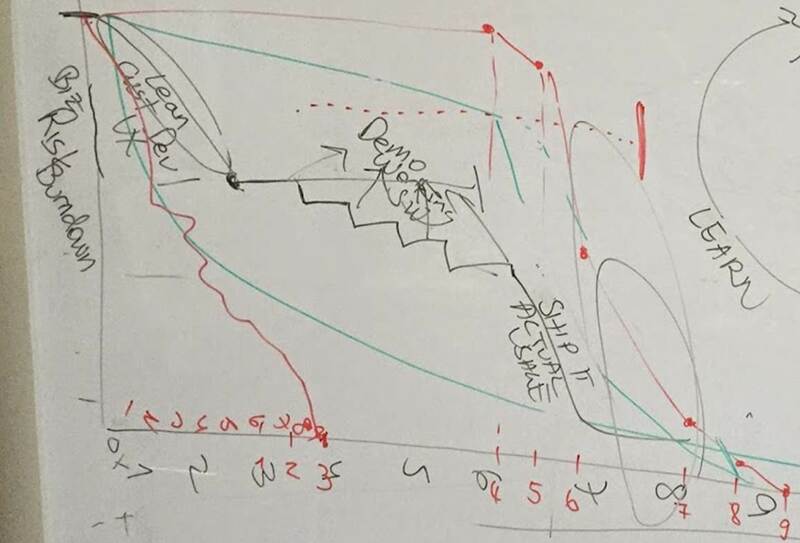 Typically, breaking projects to features will result in quite a simple dependency graph/pert chart. This is because the network is comprised of self-sufficient features. Sometimes though, Features do have dependencies on each other, or dependencies on external groups, as well as need to be delivered independently before the major delivery. When this list of dependencies grows larger and larger, maintaining a Critical-Chain view of the project/program together with relevant feeding buffers might make more and more sense. This view should only care about Features with dependencies, so it is typically quite simple, ideally managed as a Big Visible Chart on a project wall, a Look-Ahead plan, etc. Kanban and Lean/Agile in general recognize specialization as a root cause for lack of flexibility and an impediment on the way to business-driven agility. We advocate generalizing specialists and the use of healthy engineering practices to make sure more of the work can be done by more of our people. While this is a worthy vision / desired state, many organizations cannot economically achieve that goal, not in the near term, maybe not ever. So we need to optimize how we involve our Specialists while we are aiming to reduce our dependency on them, where it makes economic sense. We start by recognizing that each person, including Specialists has a certain capacity for spreading his attention as well as for actual delivery. Once we overburden this capacity we are abusing our scarcest resource. 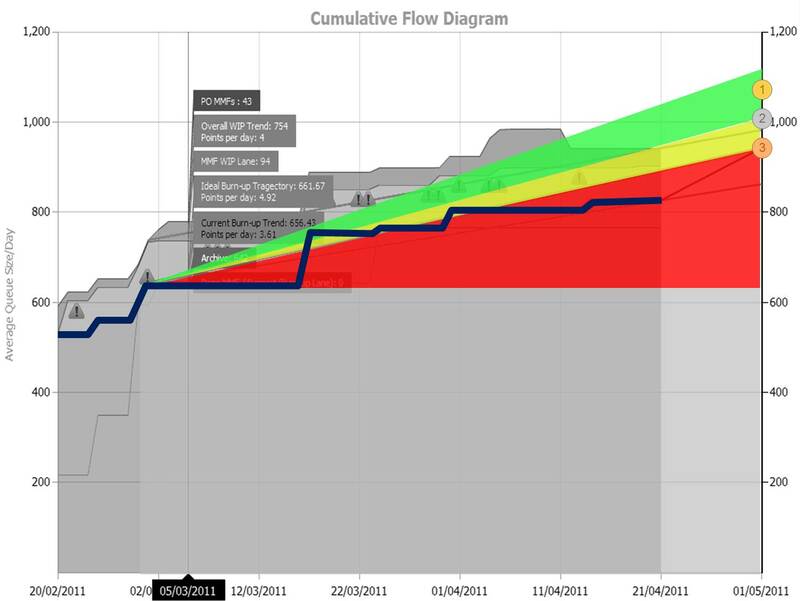 When we limit the work in the workflow we align the workload with the capacity in the line. But specialists that hover above the work like busy bees flying between flowers require a separate approach. One way is to limit the number of cards a specialist can be involved in. Once that limit is reached, he cannot be asked to be involved in a new card. So either manage without him, or wait with starting that work. Visualizing this involvement will already drive some realizations and maybe some investment in reducing the dependency somehow by knowledge sharing, offloading, etc. Another approach I touch on elsewhere (including the commitment talk mentioned above) is to classify the work based on need for shared resource and affecting routing decisions based on that. So if a specialist or any other type of shared resource is currently congested, consider pulling work that doesn’t require much of his involvement. Or even better, pull work that will reduce your dependency on him in the future. Well, These are just some thoughts, an invitation for future discussion. I believe there is potential for a lot of synergy between Kanban and CC, especially in the world of complex programs/portfolios. I especially urge the TOC/CC practitioners out there to explore the “Feedback Oriented” view of Agile. What we all need to remember is that the main thing about the Kanban method is that it is aimed at catalyzing evolutionary improvement. It is similar to the aim of the TOC S&T trees trying to drive towards a Viable Vision. Don’t get confused by the mechanics. The key is to use the conversations that happen when it is painful to follow an explicit process policy, like maintaining a WIP limit, to learn something and improve. And if you are currently using Critical Chain and would like to explore what Kanban or Agile might mean or how they can help you, I’d love to help. This entry was posted in Export, kanban, Uncategorized and tagged Critical-Chain, export-nov-2018, kanban, project_management, TOC on October 10, 2011 by Yuval Yeret.